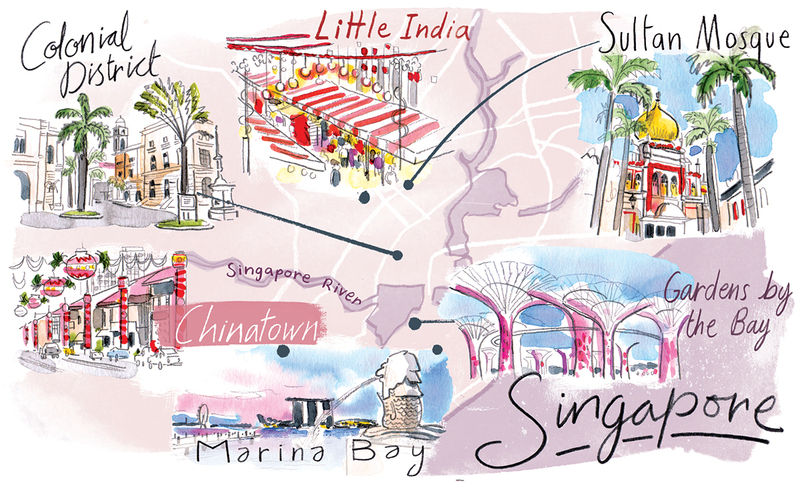 Viking Magazine commissioned Hannah George to create a series of maps and this guide to Singapore is one of our favourites. Hannah has perfectly captured the diversity of the Lion City with her energetic linework and use of colour. To see Hannah's portfolio, click here. Hannah George is represented by Meiklejohn. Published on 7 June 2018.